Instagram has grown by leaps and bounds since its inception. What started off just trying to gain a foothold in the social media arena now has an incredible 400 Million+ people who are active on it monthly, and over three quarters of those users are in the United States. This is an important place to be if you’re serious about your brand. But the competition is fierce! There are many brands that have nailed it on Instagram. This is both good news and bad news for you. The bad news is that, yes, like I just said, the competition is fierce. The good news is, you’re reading this blog post and we’re going to tell you exactly what they’ve done to become so popular. It’s critical that you take your profile seriously. This is absolutely the wrong thing to approach halfway. 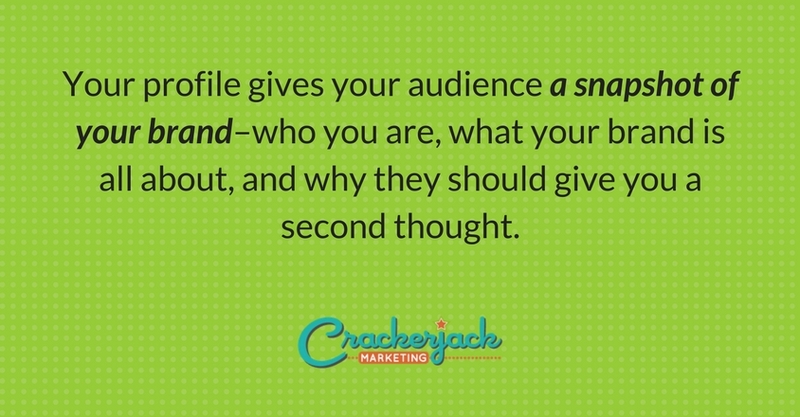 Your profile gives your audience a snapshot of your brand–who you are, what your brand is all about, and why they should give you a second thought. Make it count. Take the time to choose an avatar that is not only eye-catching, memorable, and pleasing to the eye on desktop and mobile devices but also a spot-on representation of your brand. You can use your logo if it fits these requirements (and it definitely should), but some brands make featured products work for them on Instagram, even getting a sales boost out of the deal. Take the time to craft a bio that will keep your audience’s attention and do a great job of accurately reflecting your brand. Instagram gives you only 150 characters in which to capture interest, so your bio really needs to pack a punch. Check out How to Write Good Instagram Bios to Make an Impression and 16 of the Best Brands on Instagram Right Now to gain insight on what really works. Be sure to set your profile to public. If you’re saying “Duh!” right now, just know that a significant number of people do forget this oh-so-important step. It’s absolutely fine to stay in stealth mode with your personal account, if that does it for you, but your brand account needs to see the light of day. As with many things in life, proceeding without a plan is a lot like planning to fail. To build your following and keep your audience interested, you need a solid strategy for giving your audience members what they want. Skip the photos of your dog (unless you’re brand is all about pets) and your plate. Your audience just doesn’t care. Don’t try to get away with blatant marketing either. It just won’t fly here and could actually work against your efforts to build a following. deliver the goods. 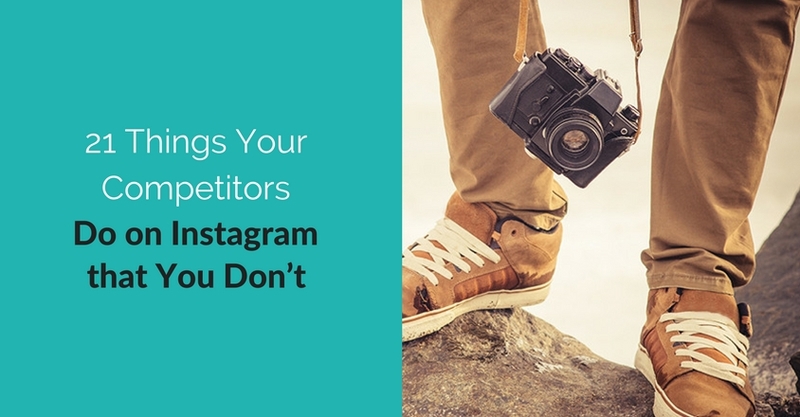 Your Instagram content should entertain, inform, and tell the story of your brand. Without question, every post should be useful, and each one should contribute to your brand’s story, providing insight into what you’re all about. Everything you post should tell your audience something about your brand. What’s your story? What makes your brand unique? What’s your special flavor? Determine this first, and then make sure each posts fits into your story or helps you elaborate on it. Create an editorial calendar, so you can keep track of what you plan to post and when. Keep in mind that you don’t necessarily have to post multiple times a day or even every day. You don’t want to bombard your followers’ feeds with your brand every second of every day, and it will, of course, take time to create the kind of quality, creative content we’re talking about here. Trying to post constantly could not only prove annoying for your followers but also result in low-quality, boring, or irrelevant images that turn your followers off in an entirely different way. So just how often should you post? We don’t have that answer for your unique brand, but your audience sure does. Start with considering your audience and how often its members are likely to use Instagram as well as the type of content that will really grab your audience’s attention. Then, from there, consider not only how long it will take you to produce that content but also how often you can reasonably do so. With these times to hand, you may choose to post once per week or a few times a week. While you don’t want to bombard your followers with your brand, all the time, consistency is key. When you do decide on a schedule, though, stick to it. Your audience will learn to expect content from you on a regular basis, and you don’t want to let them down. Post photos that are not only visually appealing but also sure to draw some laughs, provide inspiration, and/or just ensure a whole lot of fun while at the same time providing insight into your brand. Don’t try to get away with blatant marketing either. It just won’t fly here and could actually work against your efforts to build a following. When you display your products on Instagram, your customers can window-shop without ever setting foot in the mall. Don’t overdo it by posting all of your products, but do go ahead and use it as a mobile display. Post products that are part of a collection. Showcase your newest products, or share items that don’t typically get a lot of attention yet offer high value. People love to see the reality behind a brand. Use Instagram to provide behind-the-scenes photos of the manufacturing process or to show off the equipment you use to make their lives easier. You can even show off photos of you hard at work planning to make your business better or preparing to deliver the top-notch service they expect. You can tell your audience over and over again what you can do or how great your products are, but nothing beats a little show and tell. Audiences more readily believe what they can see with their own eyes. Post images that show how your product works or that demonstrate lesser-known uses for it. Provide before-and-after images to show how well your service works. Share images of people actually wearing or using your product. User-generated content can come in very handy here as well. Social media is all about engagement, and how better to encourage your audience to feel connected to your brand than by showing off the people that make it tick. Showcase your staff at work in the office, breakroom hijinks, training sessions, and meetings and demonstrations. Post images of corporate events, workplace parties, and staff ballgames. Do your employees really deck out their cubicles? Share photos of these spaces via Instagram. This is your chance to show a little personality. Your brand has a unique point a view. It has personality. Use graphics and quotes that are aligned with your brand voice and point of view to inspire and motivate your audience. Of course, there are a few don’ts too. Don’t just stuff your description with hashtags. While it’s generally accepted to use more here than on Twitter, you don’t want to go crazy. In fact, three seems to be the optimal number of hashtags for Instagram. Plan an Instagram contest that will appeal to your audience, and cross-promote it on your other social media accounts. Make it appealing enough, and some of the followers from your other social media accounts will head over to Instagram and follow you there too. Let your audience know you’re on Instagram now. Send out an email announcement, and share on your website and blog, in your newsletter, and on your other social media accounts. Let your friends know you’re on Instagram. They many not only become some of your first followers but also help spread the word about your brand. Post your Instagram logo on your website and blog and any other domains you own. Create call to actions to draw your audience in as well. Post your call to actions to your other social media accounts too. Use hashtags in all of your cross-promotions, contests, and announcements. As you’ve heard from us time and time again, social media is social, so you should not only post but also engage. Without this critical component of your Instagram plan, you might as well be yelling into the wind. There’s a whole give-and-take thing that goes on with Instagrammers. Follow others who interest you on Instagram, and they’re likely to follow you back. But don’t just stop there–like and comment too. One caveat is that your comments should always be relevant and add something to the conversations. Otherwise, it’s just spam, and who needs more of that? Sharing is a big part of engaging and interacting on any social platform, and social media is no exception. Just how do you share on Instagram, you might ask? Here’s the Right Way to Repost Instagram Photos gives you the skinny on getting the job done. Also, don’t forget to repost user-generated content that shows off your products. Just be sure to properly attribute the shared content. While you definitely don’t want to go for the big sales pitch on Instagram, you do want to encourage your audience to take critical next steps. Include a call to action in each of your posts. For example, it only takes a second to ask your followers to “like” your post if you’ve wowed them or they agree with something you’ve posted. And asking them to tag friends who might be interested can only increase your reach. 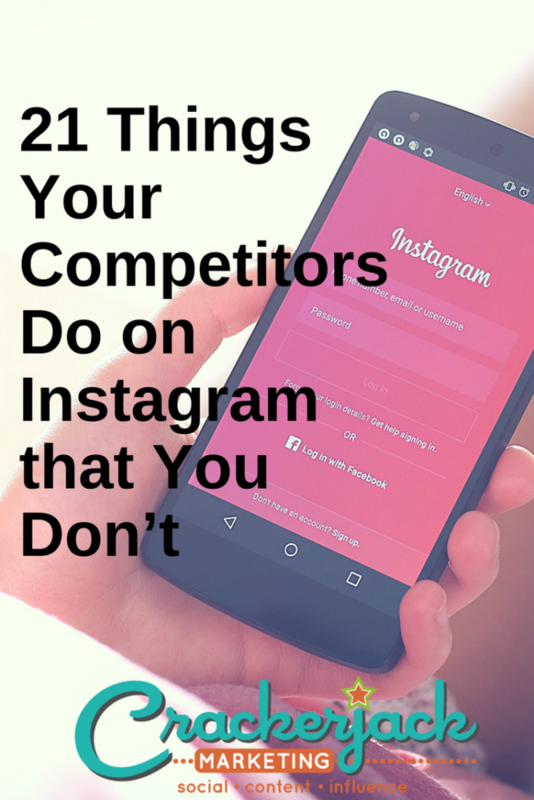 With these 21 tips at your disposal, you’re ready to take Instagram by storm. Instagram is a powerful tool, and when used well, can only help your brand achieve its social media goals. Put these strategies to work for you, and then be sure to come back and share your success with us in the comments.